It’s one of the entrances of the Kencana Park (Bogor, West Java, Indonesia) –a small park inside the city. That yellow sign states: Non Smoking Area. Smokers may not like it but I agree; smoking shouldn’t be allowed in public places. 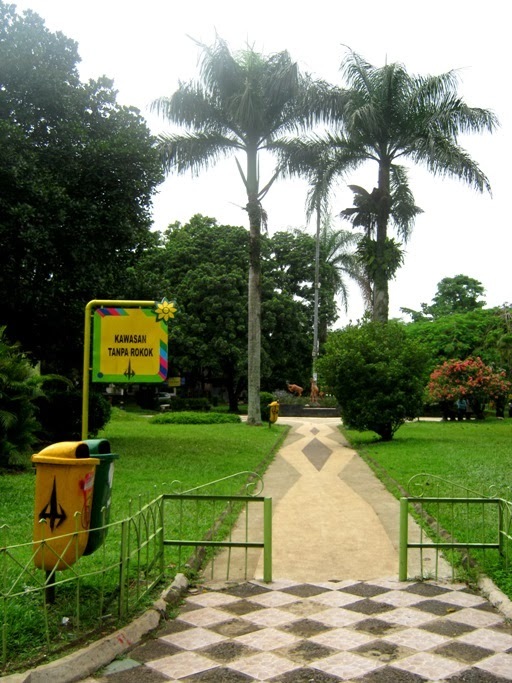 Beautiful palm trees, what a warm and inviting park. Stylish walkway which invites exploration. Delightful setting.